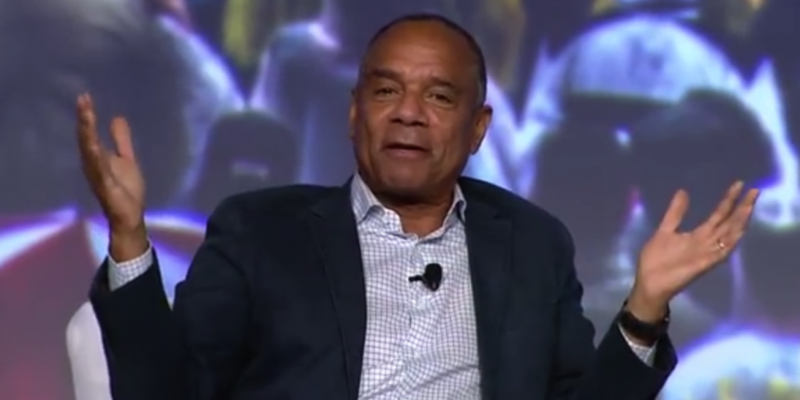 The eponym of the conference, the New York Times DealBook blog, quoted Amex’s Kenneth Chenault acknowledging bitcoin’s disruptive potential and taking aim at those who suggest bitcoin could displace the credit card industry. While it may be that many in the traditional finance space have focused on bitcoin’s perceived risks as barriers to adoption, Chenault offered a blend of balance and insight when considering the threat the new technology might pose to his industry. “There’s a reason credit cards were invented,” he pointed out, saying that over and above merely being able to make payments, consumers also want the ability to defer them. Notably, cryptocurrency lending startups do already exist, such as BitcoinLendingClub and BTCJam, though they don’t offer the instantaneous flexibility provided by a credit card. Chenault has served in his position at American Express since 2001. Proponents of bitcoin tout its low fees and speedy transactions as key advantages that should persuade user to adopt its use as a payment method. Chenault said he sees more promise, though, in bitcoin’s underlying technology than in its use as a currency. “The protocol of bitcoin is going to be important,” he said, likening digital currencies to the likes of Napster and iTunes, products that drove rapid change in the music industry. While refusing to predict the how future competition between the payment systems might pan out, Chenault seemed unthreatened. “I think there’s room for a lot of players,” he said. A number of prominent figures in financial services have offered mixed views on digital currencies over the last year. Within the last two weeks, Matthew Driver, MasterCard’s president for South East Asia, issued a strong rebuke of digital currencies, suggesting that they carry too many risks to be successful. However, other luminaries in the space have been more fair in their appraisal of the burgeoning technology. Noted entrepreneur Sir Richard Branson voiced his support for bitcoin ahead of the Global Digital Currency Conversation in Brisbane, Australia, in November, saying, payments systems have “a lot to gain from bitcoin’s presence”. That same month former Citigroup chief executive Vikram Pandit came out in favour of digital currencies, stating they have “promise of changing the world”.